A win is a win. They all count the same. Every win is a big win. There is a plethora of clichés one could toss out when a team wins ugly. 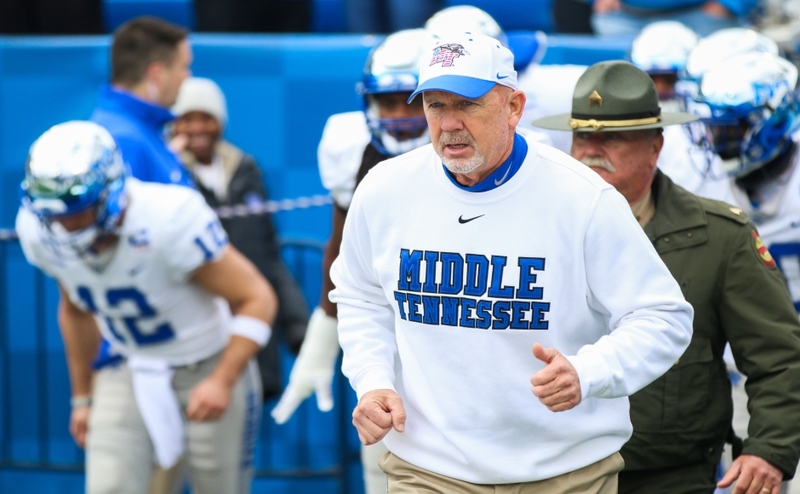 Middle Tennessee State head coach Rick Stockstill took the same approach as he stood at the podium following a 61-37 win last week against UT-Martin. 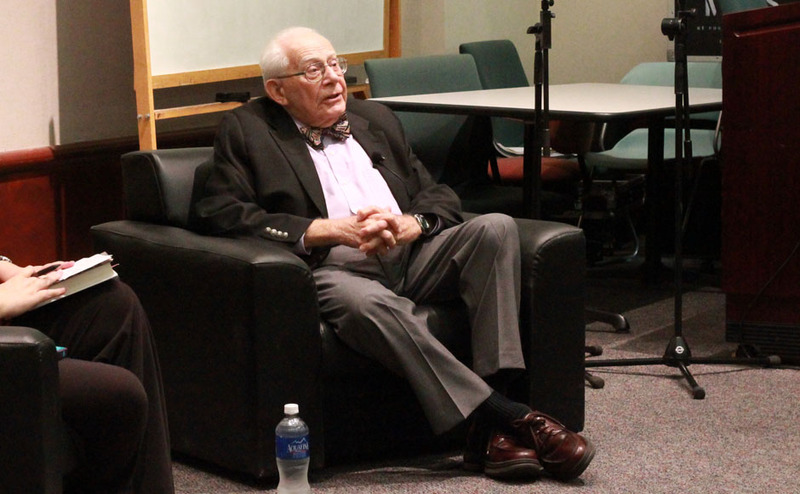 What Stockstill said is true. It’s true now and always will be. Winning is much better than the alternative. Overlooking opponents and getting upset happens almost every week in college football, so to escape with a win is an obvious positive. However, it was a bit of an ugly first win for the Blue Raiders and one they cannot repeat in Athens if they are to keep up with the Georgia Bulldog’s pace on Saturday morning. UT-Martin marched down the field and put up seven points in less than two minutes to take the lead before the 13-minute mark of the first quarter in last week’s contest. The Skyhawks gained 460 total yards compared to 484 by the Blue Raiders. The Skyhawks also out-gained the Blue Raiders on the ground 102-77. One could come to the conclusion that, despite the 61-37 score, the Skyhawks gave them a legitimate scare. The Blue Raiders still managed to put up some serious offensive fireworks after a slow start against the Skyhawks. 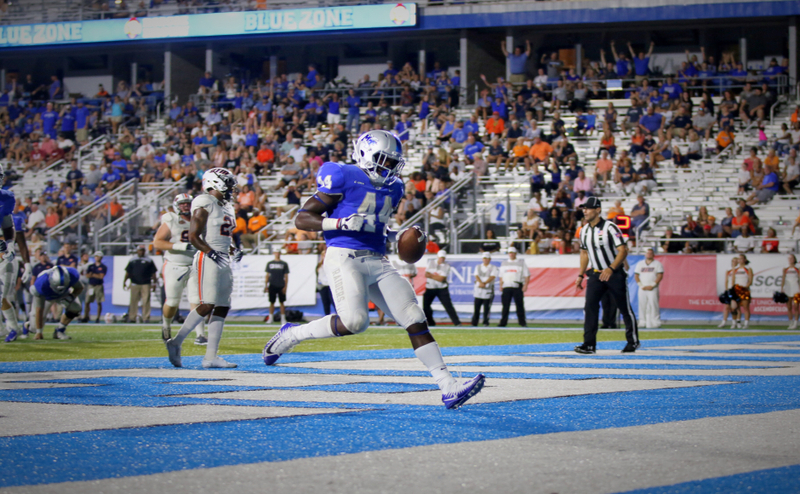 Quarterback Brent Stockstill threw five touchdown passes for the third time in his career, wide receiver Patrick Smith caught three touchdown passes (tying a school record) and running back Chaton Mobley stepped up in a big way with the absence of Tavares Thomas as he rushed for a pair of touchdowns. 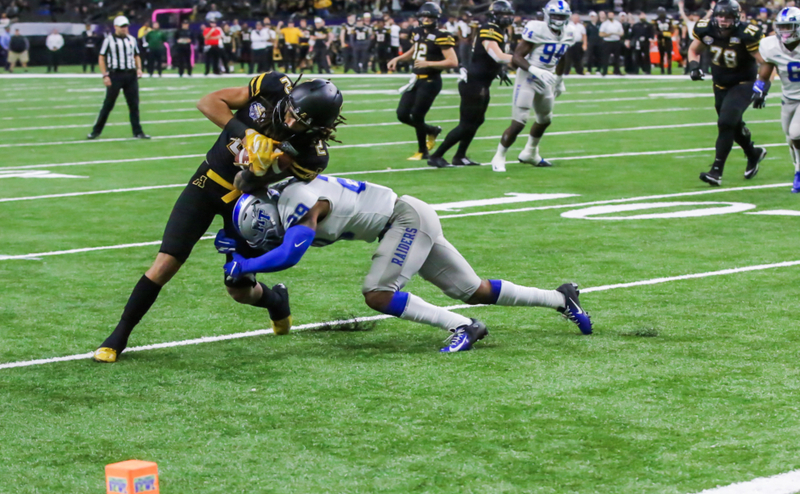 One of the most important takeaways from the offensive resurgence is the connection between Stockstill and his receivers. Stockstill completed 73.5 percent of his passes and threw for 407 yards. The connection with his receivers was most evident with three guys: C.J. Windham, Brad Anderson and Smith. As previously stated, Smith’s three touchdown grabs tied a school record to go along with 87 receiving yards. Windham racked up 86 yards on only three receptions with two of those being for touchdowns (one of those being for 56 yards). For Anderson, the former tailback turned slot receiver, he led the team in receptions and receiving yards with 141. 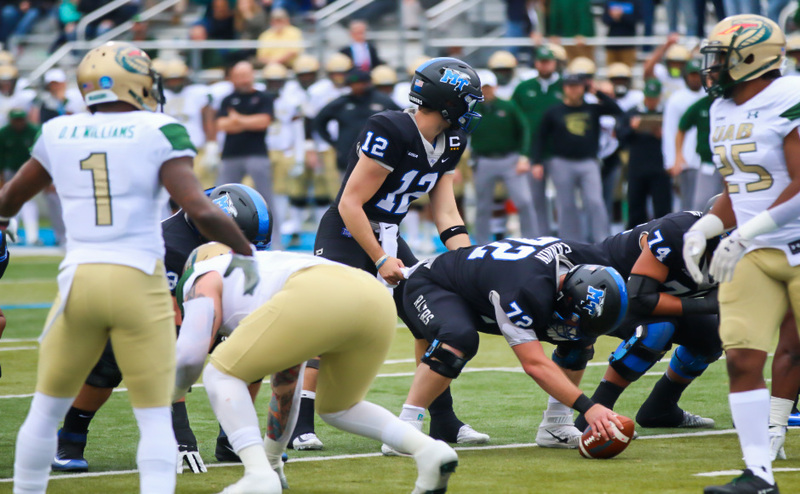 There were many positives from last week’s game against the Skyhawks, but one could speculate that the Blue Raiders were expected to outlast the Skyhawks. Despite their early struggles, they managed to come away with a victory. The Blue Raiders won’t have such a luxury against the Bulldogs and moving forward into conference play. The margin for error against the Bulldogs will be microscopic. The Blue Raiders cannot afford another slow start with costly mistakes and penalties and expect to walk out of Sanford Stadium with a victory. 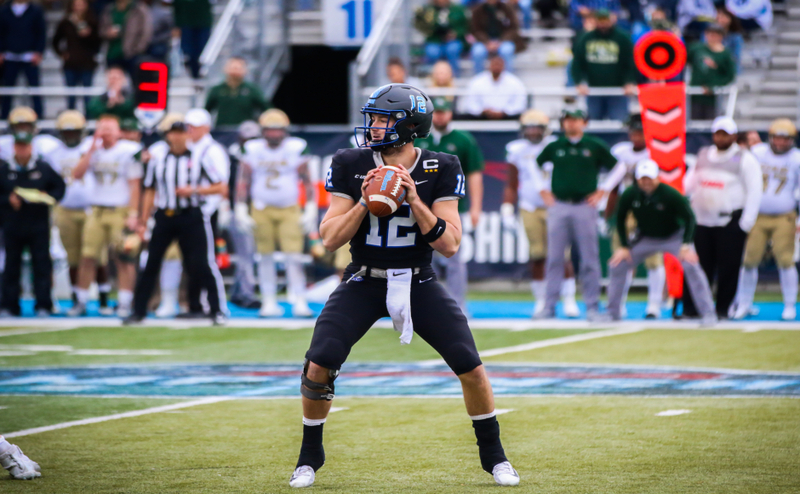 Middle Tennessee will have to play a near perfect game, and their offense will have to come out swinging if they want to pull off the biggest upset of the 2018 season. Rick Stockstill is aware of the test his Blue Raiders face and the mountain they will have to climb in Athens.